Thank you to our sponsors for supporting the October Business Month program. National Australia Bank is a financial services organisation with a long and proud heritage, serving the Australian community for over 170 years. We employ over 35,000 people, operate more than 1,700 branches and business banking centres and have more than 520,000 shareholders. We exist to serve more than 10 million customers. The majority of our financial service businesses operate in Australia and New Zealand, with international branches located in Asia, the UK and the US. Our brands share a commitment to provide customers with quality products and services with fair fees and charges. Our relationships are based on the principles of help, guidance and advice to achieve better financial outcomes for our customers. Australian Banking offers a range of banking products and services to retail and business customers, ranging from small and medium enterprises through to Australia's largest institutions. Our personal banking products can be accessed through various channels including NAB, nab Broker, nabtrade and UBank. Our business banking products cater to customers' needs with specialist expertise in agribusiness, property, health, government, education and community. Australian Banking also comprises Fixed Income, Currencies and Commodities (FICC), Specialised Finance, Debt Markets, Asset Servicing and Treasury. 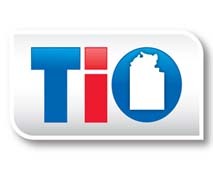 TIO was established in 1979 to provide insurance options for those living in the Northern Territory - in almost 40 years our focus has not changed. Based in Darwin, our strength lies in our solid understanding of the conditions faced within the Territory year after year. Whether that be flood, cyclone or whatever else nature can throw our way. We provide a comprehensive range of insurance products across both personal and business portfolios. This includes home, motor, marine, business, life, travel and workers compensation. We have insurance products that reflect the needs of business with a wide selection of cover options to choose from. Our local claims team, assessors and contact centre are based in Darwin, so we understand Territory business conditions and respond quickly when you need us. Channel Nine’s local parent company is appropriately called Territory Television, founded by a group of Darwin businessmen in 1969. The station began broadcasting in November 1971 and has continued to grow through support of local industry - and through its community involvement - in the years since, rebuilding along with the city in the wake of the devastation of Cyclone Tracy. Originally called Channel Eight, the company’s subsequent owners, Nine Network, changed the brand and programming to Channel Nine in 2003 and continues to bring the only commercial news to Darwin though its massive resources across Australia and the world. Our local newsroom ensures Darwin gets a view of events and happenings across the Northern Territory, while Australia gets to know of them through us as well. In media terms, Nine continues to invest in its local presence and commitment and provides a valuable advertising vehicle to clients across the business spectrum that is overseen and advised by Darwin people here in Darwin - not handed off to teams outside our market who don’t understand the Territory or its business cycle. Territory Television means just that – it’s our Territory. Since 1988, Imparja television has been integral to the Northern Territory business community, as the carrier of news and entertainment, and a pathway between our clients and their customer base. We are locals, headquartered in Alice Springs. We service every regional area of the Territory, from Tennant Creek, to Katherine, to Nhulunbuy. The profit we make stays within the NT and supports the wider community in which we operate, which makes us unique amongst the NT broadcasters. We pride ourselves on adding value to our clients business, and continue to invest in delivering the best outcomes possible. We understand the connection between our audience, and the products and services of our clients. We do this because we care about the Territory. We care, because we're local. Doing business with Imparja makes your business and the Territory stronger. Let us help support your business today. TerritoryQ was voted Magazine of the Year at NT Media Awards and is the only premium business and industry magazine of the Northern Territory and Asia Pacific region. TerritoryQ is an independent, local, private enterprise determined to offer an integrated and inclusive platform to the entire business community. TerritoryQ is an enabler for sharing information, inspiration, motivation, education and conversation with the business sector - and the world at large. Consider this publication as the Northern Territory’s own capability document communicating that we are open for business. People who are serious about business are reading TerritoryQ.